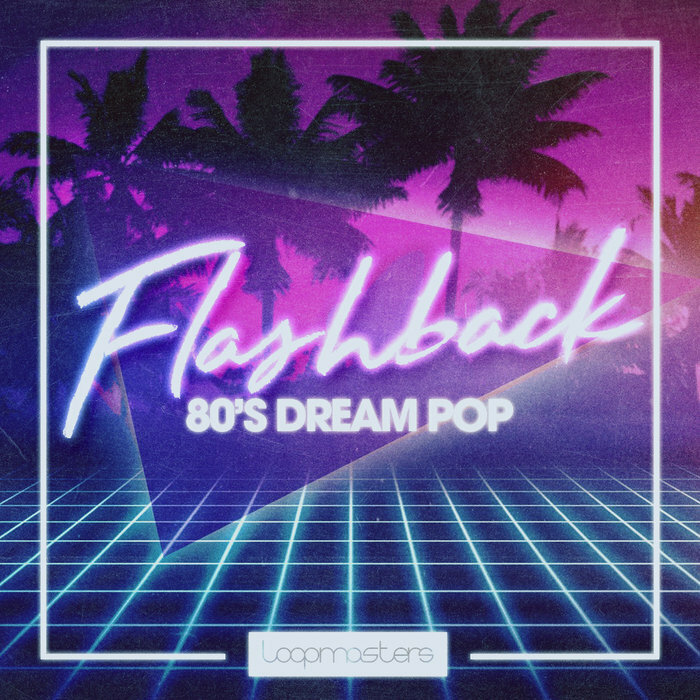 Loopmasters are proud to present Flashback 80s Dream Pop! This one is a retrospective and ethereal collection of sounds that channel the wistful spirit of times gone by into a neatly assembled care package that is bound to bring a sense of nostalgic splendour to your mixdowns. Whether you?re reviving this sound palette in your vapourwave productions or simply revisiting an old skool sound with a 21st century insight, this 100% royalty free selection is guaranteed to have the sounds you need! 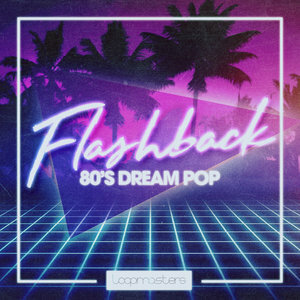 Packing 1.25 GB worth of reverberant and dreamy sonics, Flashback 80s Dream Pop brings you a whole host of instruments, formats, keys and styles to spice up your throwback stylistics. 80s drum loops, retro synth samples, pop bass loops, dreamy keys, dream pop pads, percs, guitars and more are all included and ready to be dropped into your daw for instant classic feels. With loops swaggering between 90-125bpm, you?ll find sounds within that suit the named genres, as well as vapourwave, synthwave, lo fi house, downtempo and any other musical genres! These will also work great with any radio or televisual broadcast that needs a touch of nostalgic charm. In detail, expect to find 1.25 GB of content, with all sounds recorded at 24Bit & 44.1 kHz. 289 loops are broken down as 58 guitar loops, 55 synth loops, 29 electric bass loops, 28 kick snare loops, 28 full drum loops, 26 hat loops, 17 synth bass loops, 12 perc loops, 10 keys loops, 10 tom loops, 6 pad loops, 6 piano loops and 4 organ loops. 189 one-shots are broken up as 95 drum hits, 47 instrument phrases, 30 music hits, 10 bass hits and 7 bass phrases. Also included are 289 Rex2 files and 52 soft sampler patches (for Kontakt, NNXT, Halion, EXS24 and Sfz). Take a trip in a DeLorean back to the sounds and styles of the 80s!